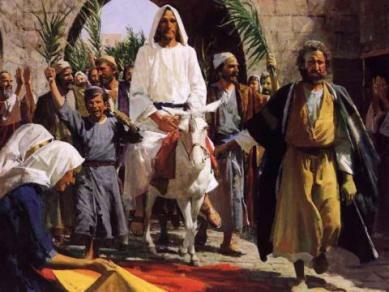 The passage in John is where we get the holiday Palm Sunday. The people unknowingly were prophesying the second coming of Jesus. This is confirmed in Revelation 7, where it says the Lamb (Jesus) was praised with palm branches. From Revelation 20, we know that the barley overcomers will rise in the first resurrection, and reign with Christ for a thousand years. Also, we mentioned earlier that the Age of Tabernacles was a thousand years. Therefore, we can finally conclude that the second coming will occur at the beginning of the Age of Tabernacles.